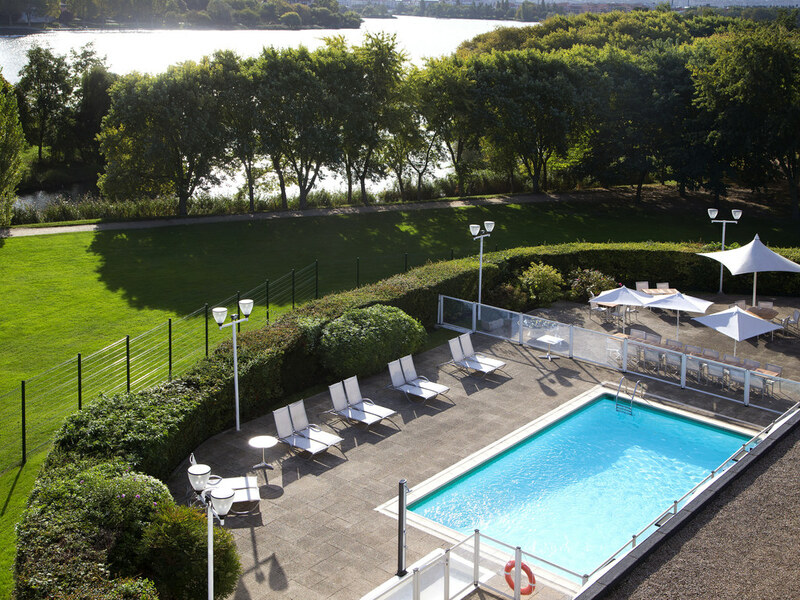 Just 10 minutes from Paris, enjoy a moment of calm at the Novotel Créteil le Lac hotel. Whether you are lakeside or poolside, this 4-star hotel in a leafy setting boasts a bright restaurant, spacious rooms with WiFi and play areas. Enjoy yourself: Versail les, the Louvre, Bercy and Disneyland are less than 30 minutes away by metro or car. With 12 meeting rooms, add Parisian drive and a touch of Zen to your seminars at Novotel. BALARD/CRETEIL PREFECTURE : 8 CRETEIL UNIV. Spacious, contemporary design and adaptable, the Novotel room is truly a place for living. Perfect for all your needs. The Novotel Paris Créteil Le Lac has 110 air-conditioned rooms measuring 269 sq. ft. (25 m²). Our 430 sq. ft. (40 m²) Suites offer a bedroom and lounge area with Nespresso coffee machine, walk-in shower, bathrobe and slippers. Dine how you want, when you want. Enjoy simple, tasty, healthy and balanced cuisine at any time and satisfy all your cravings. Take a moment to relax whether in the restaurant, bar, terrace, or in your room.